Being a college student, it can be stressful to be thrifty and stay on budget throughout the semester. There can be interviews, social events, and many occasions for a new outfit. In between, living in a rental, I like to redecorate my room and living space with my roommates. Spending money at the mall, popular house décor stores, Target, or discount stores, such as Homegoods, can add up quickly. Fortunately, I have discovered thrift stores and Gainesville has many great options for thrift shopping for almost any type of item. From gently used kitchen appliances, wall decorations, lamps, clothing, and much more, thrift shops allow for students on a budget to not only enjoy their living space but feel confident at interviews as well! 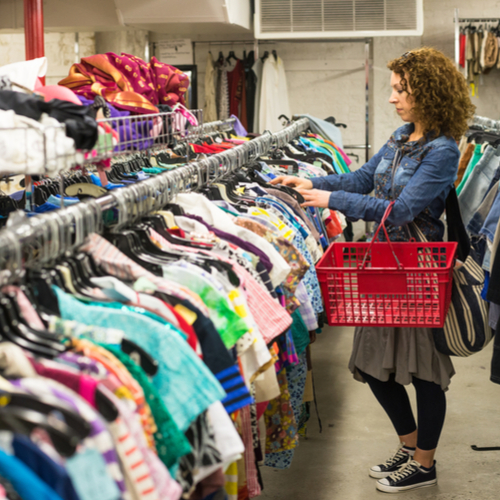 Additionally, many thrift stores in Gainesville are non-for-profit. For example, Outreach Thrift Store offers high-quality clothing and household goods for sale and partner with local churches and community agencies in helping individuals and families in need of clothing and household items. The Repurpose Project is a non-profit community-based effort to divert useful resources from the landfill, redirect these items to the public for art and education and inspire creativity to rethink what is thrown away. Attic Resale Stores -300 NW 8th Avenue Gainesville, FL 32608 Sales generated at the Attic Resale Stores directly financially supports Haven patients and families as well as many other people in the community served by our programs and services.